Each year, Viget joins together around the holidays to create something completely different. We do a project that is almost entirely hand-made and non-web. 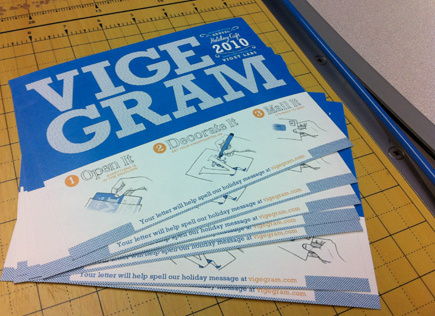 This year's gift was called Vigegram, a sort of spin off of your old-fashioned telegram, with a twist. If you didn't get the chance to check it out, take a quick look here, and then read on to hear some behind-the-scenes info on how we designed it all. After the initial overview discussion about designing Vigegram, one of the first things I did was pull together a quick inspiration board (above) in order to start thinking about a visual style. Only a portion of this directly influenced the final design but it was a good conversational piece early on to help me figure out what the vision would be for this project. The next thing I did was crack open my sketch book and work out some rough design ideas (below). Through this and some conversations with Owen, we decided that we'd include big type and also some hand-drawn elements. Having set a loose direction, I sat down with a pen and paper to work on some of the illustrations. 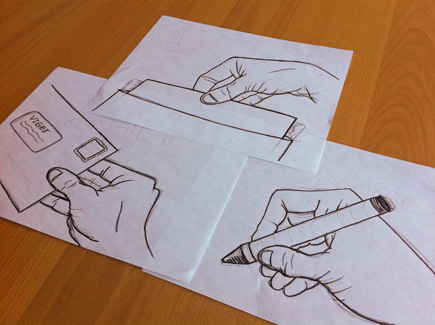 For this, I played the dual role of hand-model-extraordinaire and artist. Basically, I just held up my hand in the desired position and did a quick line drawing. Afterward, I went back over the sketches with some thicker markers. Once I had those, it was just a matter of scanning them in, cleaning up the lines in Photoshop, and adding a bit of color and shading. The process actually took much less time than I thought it might. But this was only one of the components, so I then turned to some of the typography. 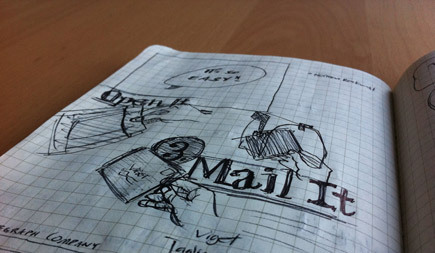 To help the text match the style of the illustrations, I decided to sketch the words out with pen and paper as well. 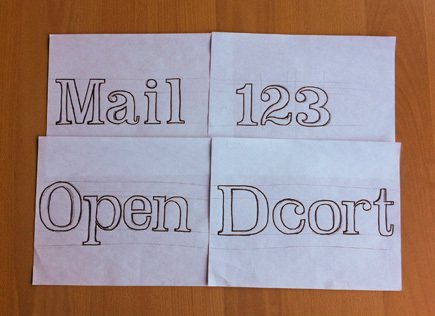 Using the typeface Clarendon as a base, I followed the same process here as I did with the hand drawings. Before long, the bottom section of the card was starting to come together. The next part that needed some attention was the main title. For this section, Owen and I teamed up and started to pull together the top half of the card. 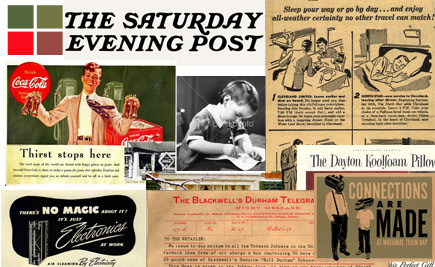 Using the typeface Rockwell, the elements quickly started to fall into place (funny how that just happens when Owen starts playing around with stuff—I guess that's what you call talent). Before long, we were looking at what seemed to be a fully designed card. This, although, wasn't even half of it—we still had to print and cut them all—and that was a process all in itself. In order to figure out the printing and cutting, I turned to the always helpful and resourceful Khanh Stenberg (read: office mom). Despite some challenges, we eventually printed out all 300 of the cards. Unfortunately, in order to allow the printer the required amount of margin space, we could only print one card per sheet of paper. This meant lots (and lots!) of cutting. One thousand, two hundred chops later, we had our cards, ready to be packaged and sent off! 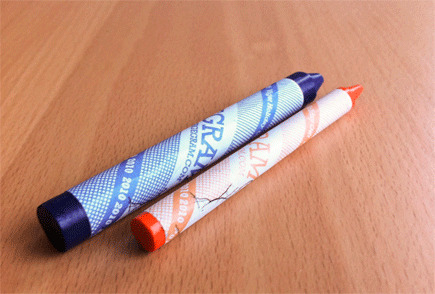 One of the smaller design elements to be included in the packages was the custom crayon wrappers. This was just a fun (yet tedious—just ask Trevor about unwrapping 600 crayons) detail to give the whole thing more of a Viget look. At first, I had made a design that seemed to work visually when I was viewing it on the computer screen. When Owen tested it out the next day, though, some issues with readability emerged when it was wrapped around the crayon. Owen then went back to whip up a new wrapper design and that was that! You can see the design and the final product in the image below. Pretty spiffy! 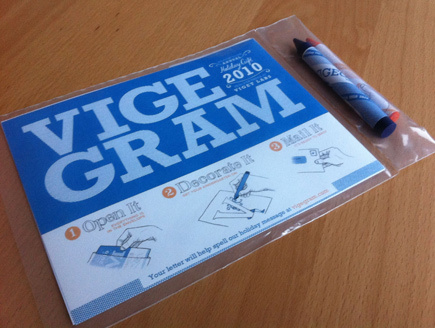 When all was said and done, we sent out around 300 Vigegram envelopes to our friends all around the country. Each one was complete with an overview card, custom crayons, and a neatly stenciled letter ready to be decorated. We had a great time getting all sorts of creative illustrations back and then arranging them on the office wall. Andy even captured the whole Vigegram experience in video form. In the end, it was a really enjoyable break from the norm, a fun collaborative project, and a great way to bring in the Holidays.